The Cult Thracian Rider and Rusalii Oro - republic-of-macedonias jimdo page! It was the Thracian Rider, a deity worshipped all over ancient Thrace and Macedonia, whom some think to be a form of Rhesus, the hero of whom Homer wrote.He had a long lease of life, for the Roman legionaries of Thracian origin went on worshipping him, and his shrines are found wherever the legions went, and in Rome itself. You may find several sculptures representing him in the Budapest Museum. The mystery of Prince Marko was solved. There had been two similar processes and a synthesis of the results. 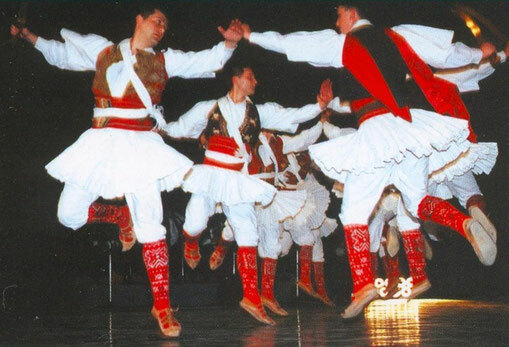 Rusalii - Macedonian Ethnic Dance.